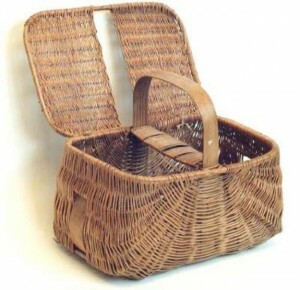 This entry was posted in Basketry, Endangered Crafts, Lancashire, Merseyside, Traditional Crafts and tagged basketry, crafts, frame basket, heritage craft, Lancashire, Merseyside, Traditional. Bookmark the permalink. Love this! Would look great on the back of my bike with flashy in it. I worked with baket maker Derek Noble at Cedar Farm in Mawdsley, unfortunately Derek died in 2008. He was a traditional maker and I made coffins with him for a couple of years. He didn’t make the Southport basket but I worked with some retired people in a nearby village of Eccelston and some of the women before they married had made baskets. They worked on a style (don’t know the name) which each person made a part of then it was assembled. Many people around that area worked in basket ‘factories’ they told me. Cedar Farm which has opened up part of their farm to crafts people will have information or contacts that might be uselful to you. I was very interested in your article. Wow, that’s very interesting and useful info – I will contact them and see if I can get names of some local basket makers. Glad you enjoyed the article, it’s great to discover all these crafts, which people know of locally but are not known outside of a small area. 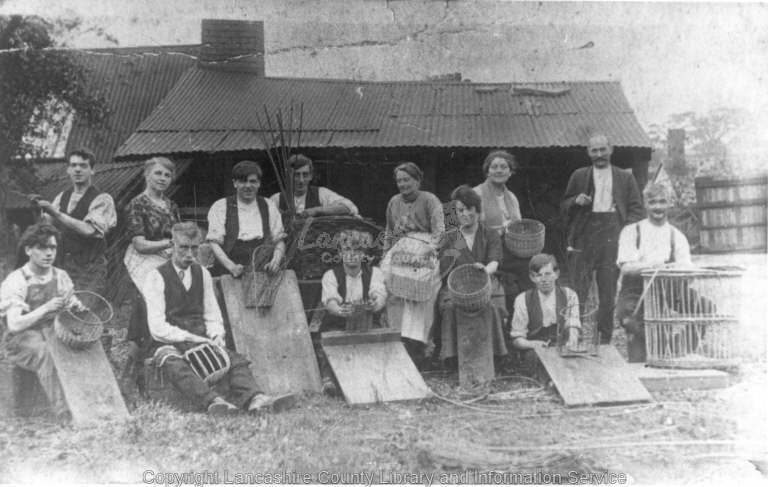 unfortunately most of the originally apprenticed basket makers are now dead. There is a couple living in Leyland Jeff & Heather Allan from Eco Arts who make baskets especially Heather although I’m not sure if she has ever made the southport boat. You could try the Basket makers Assoc for contacts. Brill – Thanks, I will do that. How interesting.. I agree that it’s had to keep going online sometimes. I just had a bit of an ‘ebb’ – in real life too (or RL as I think it’s called online) – not just the blog. I certainly don’t mind – just keep going when you can! Your blog is always interesting, you don’t have ‘filler’, so who cares if there’s a gap! I have to remind myself, too, that value lies in people being interested in content, site stats, growth etc are just surrogates to track this, not an end in themselves. I’ve just finished 4 weeks training with two very experienced basket makers one in Norfolk the other in Scotland. My training was funded by the Heritage Crafts Association (they have a great website & Facebook page) I’ve been focusing on making square baskets (hard to master) and I’m working on a HUGH log basket 55cmx 90cm x 60cm high. I can hardly move in my wee workshop it’s so big!!! Trying to keep the corners sharp is a real struggle at that size.